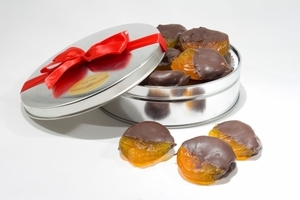 Jazz up your gift giving with confection perfection: Australian Glazed Apricots. Proof that good things come in small packages. 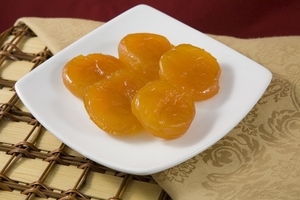 Let us now praise Australian Glazed Apricots. 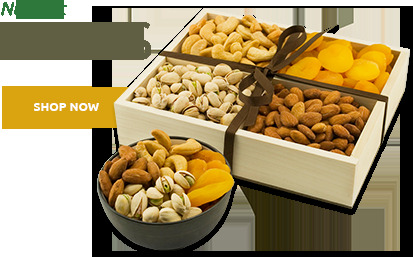 Uniquely delectable, our succulent, over-sized apricots have a rich taste and complex flavor. 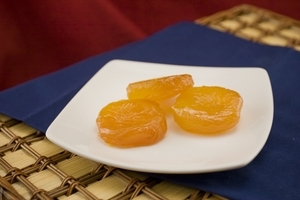 Glazed with pure Australian cane syrup, these extra large apricots are a lush and delicious mix of taste and texture. 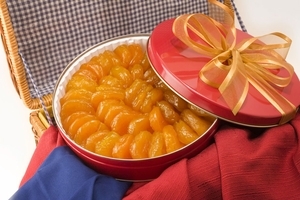 Unmatched in quality and flavor, Australian Glazed Apricots will make a welcome addition to any gourmet gift basket, or as a delightful dessert on its own. 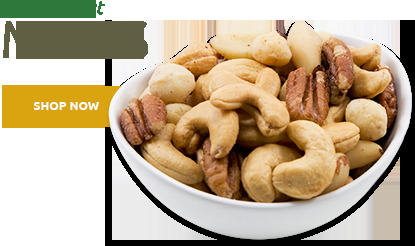 Cultivated in India and Persia since antiquity, s apricots were long considered an aphrodisiac in Europe, and revered in the Middle East. 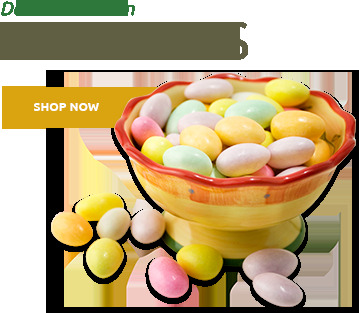 What could possibly improve on a fruit with such an esteemed history? 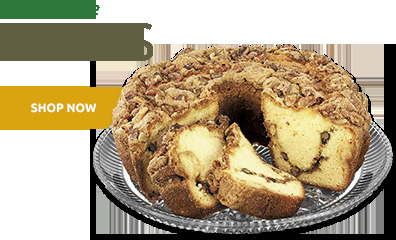 Add chocolate, of course. 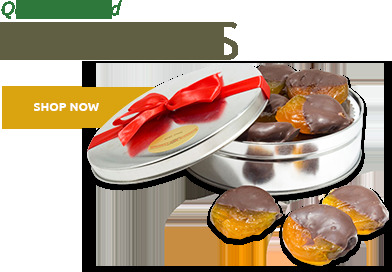 We dip half of our Australian Glazed Apricots in rich, smooth and dreamy chocolate - choose from dark, milk and white chocolate. 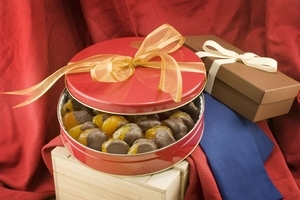 An intoxicating blend of great taste, this robust mix of chocolate and apricot will satisfy the most finicky recipient on your list. 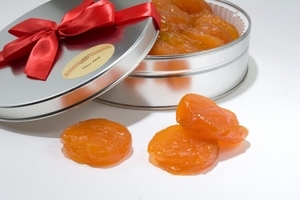 Beautifully packaged in elegant gift tins, we bring together all of the key components to make Australian Glazed Apricots the perfect gift for any occasion.